Bynx: How on earth did you do what you did ??? I know it has something to do with masking, but this is alien territory for me since I am deficient in that aspect of Photoshop. Pray tell. What is really cool is that it takes the train out of my basement and places it smack-dab in the middle of Colorado!! Bynx...all I can say is "Genius"! Thanks also for the tip of using PSE to simulate the blur. While it demostrates no photorgraphic skill on my part, the impact is quite impressive. 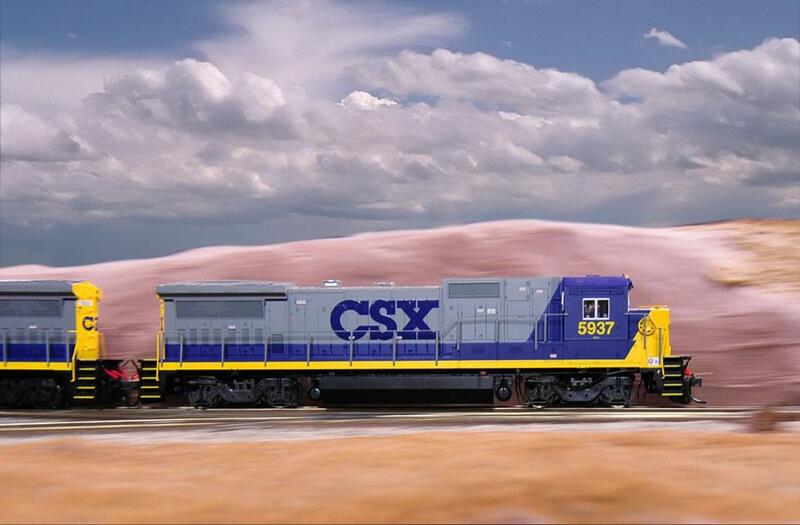 Take a look at this CSX locomotive as it screams out of the tunnel. At 16oo pixels wide, I think I feel the ground shake ..!! !